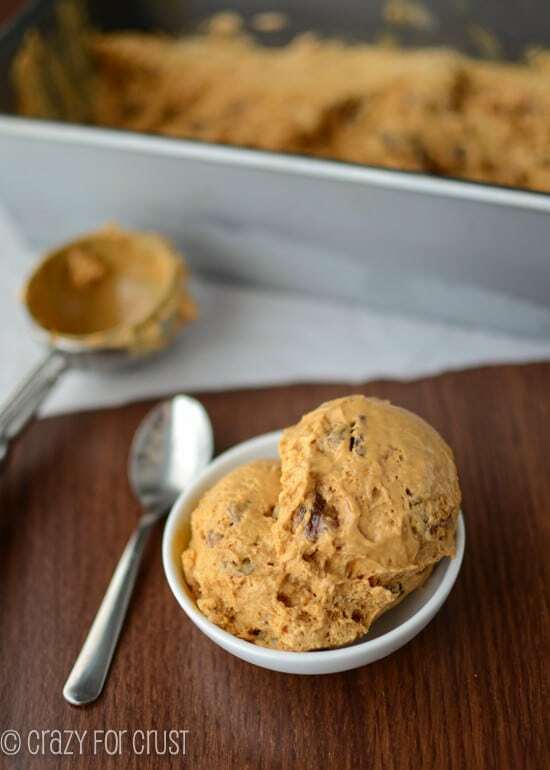 This Easy Dulce de Leche Ice Cream is so rich and flavorful you’ll think it took hours to make. 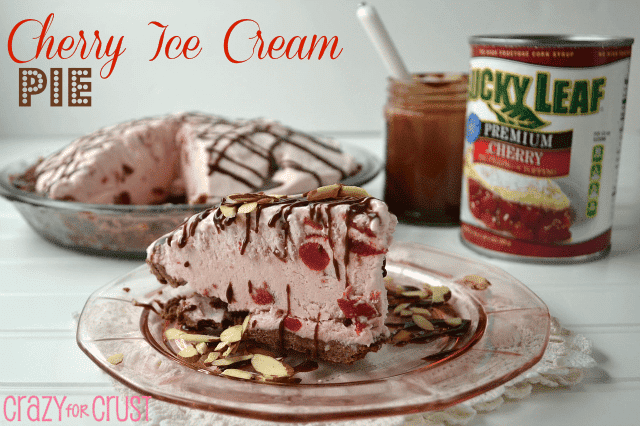 In reality it has just a few ingredients and you don’t even need an ice cream maker! Friday night was Bingo night at Jordan’s elementary school. I was in charge of running the food service, like I was last year. The hot food gets delivered and my job is to make sure it gets served to 280 people – FAST. There is nothing worse than waiting in line for food, so I want that line to move quick. To do this I rely on lots of teen volunteers, although I use the term “volunteer” loosely. If someone is required to volunteer for graduation, doesn’t that just make it homework? Anyway, the volunteers ended up being great – they moved the line fast and everyone was happy. But, OMG. Teens today freak me out. Like, if this is what I’m pinning my golden years on, I’m a little scared. I can’t wait to be in my nursing home, having an emergency and pushing that little button that says I fell and I can’t get up, and have the person supposed to be helping me make me wait because they have to answer that text from their BFF. I actually had to ask a girl – twice – to put her phone away. Another couldn’t quite understand how to serve a chicken sandwich. And then I asked them to move tables for me. OMG. Like, it was the apocalypse or something. Thank goodness my faith in my future geriatric care was restored when I got home. I’ve never had to have a babysitter for that many hours before, but Jordan ended up sick and Mel was at the hospital because his step-dad was in surgery, so I had to hire one. She came even though there was a fever involved, and she made Jordan smile and happy and not miss bingo night one bit. She is amazing! Anyway, this really has nothing to do with this amazing Easy Dulce de Leche Ice Cream, except that anyone can make it even while texting, and I came home and ate my weight in it after a loooong day on my feet. I’ve never had Dulce de Leche before last week. I know, I’ve been missing out. I’ve seen it all over blogland for years and never picked up a can. And part of me wishes I never did because O M G.
Give me a spoon and a can of Dulce de Leche and I’d be a happy girl. 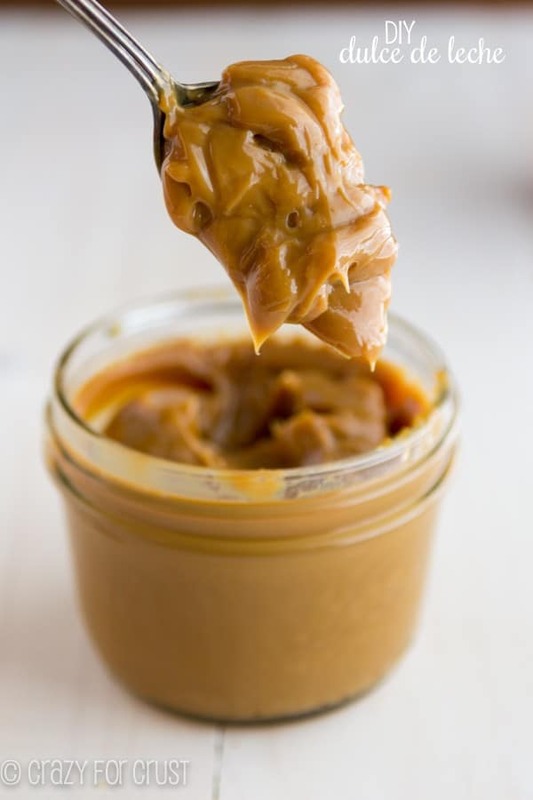 Basically, Dulce de Leche is sweetened condensed milk that’s been heated and cooked for a long time. It turns into this thick, wonderful, caramel type mixture. It’s amazing. 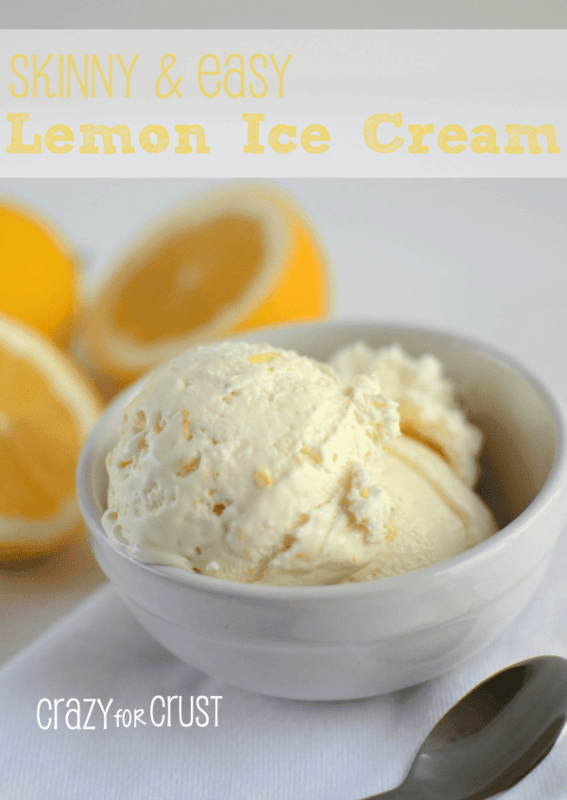 When I was craving ice cream last week, I knew I wanted to make easy ice cream (you know, the kind without a machine) and I couldn’t think of a flavor that knocked my socks off. Then I realized…Dulce de Leche IS sweetened condensed milk. Could I make Dulce de leche ice cream out of it the same way? The answer? Oh yes, yes you can! This Dulce de leche ice cream is made with a can of Dulce de Leche and a tub of fat-free Cool Whip. You can totally substitute whipped cream for the Cool Whip, but beware – this is rich and thick with the whipped topping – I can’t imagine how much thicker it would be with real cream! Plus, fat-free Cool Whip makes this a (little) less guilty. I wanted to add a crunch to my Dulce de leche ice cream, so I cooked some brown sugar, butter, and pecans together and stirred them into the ice cream, with some vanilla. This came together in literally minutes! I froze it overnight and boom. 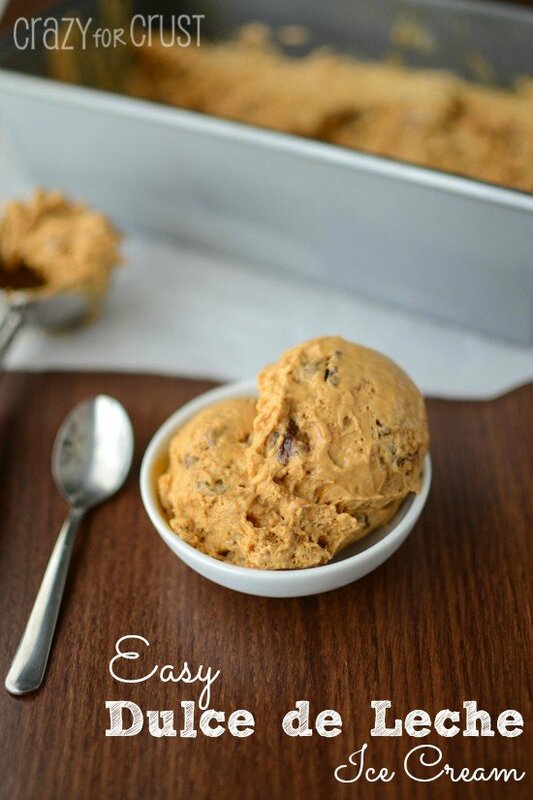 Easy Dulce de Leche Ice Cream. It’s AMAZING. It’s even better with a sprinkling of sea salt before eating. Salted Dulce de Leche Ice Cream. Make this Dulce de leche ice cream for Cinco de Mayo. Or a random Monday. Or because your teenager refuses to listen to you when you give instructions. Whatever. No churn ice cream that's full of dulce de leche! Melt butter and brown sugar together in a small pan over low heat. Cook until butter is melted, then add the pecans. Cook over low heat for about 1 minute, stirring constantly. Remove from heat and place on a cookie sheet lined with parchment paper to cool. Place dulce de leche in a large bowl. Stir to break it up a little. Add vanilla and whipped topping and fold gently until almost combined (there will still be a few swirls of dulce de leche showing). You don’t want to over-stir or it won’t set up in the freezer. Fold in pecans. 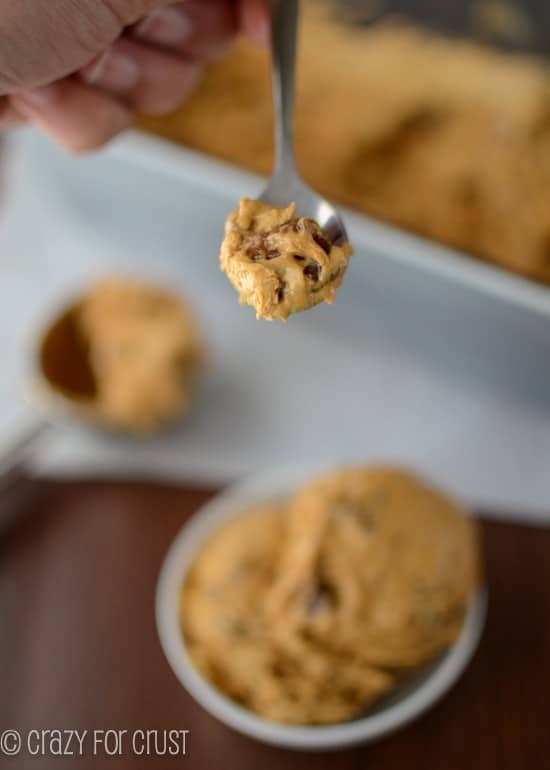 Place in a airtight container and freeze until semi-firm (it won’t be as firm as regular ice cream), at least 4 hours or overnight. Try sprinkling it with a little sea or kosher salt before serving. It's amazing! Just ran across your site, and besides your GREAT sounding recipes, some of your ‘stories’ are very worth reading. I’d like to make your ‘Chocolate Zucchini Doughnut Muffins’ . Like to print it out to save it. No ‘print’ stated. Just put mine in the freezer. 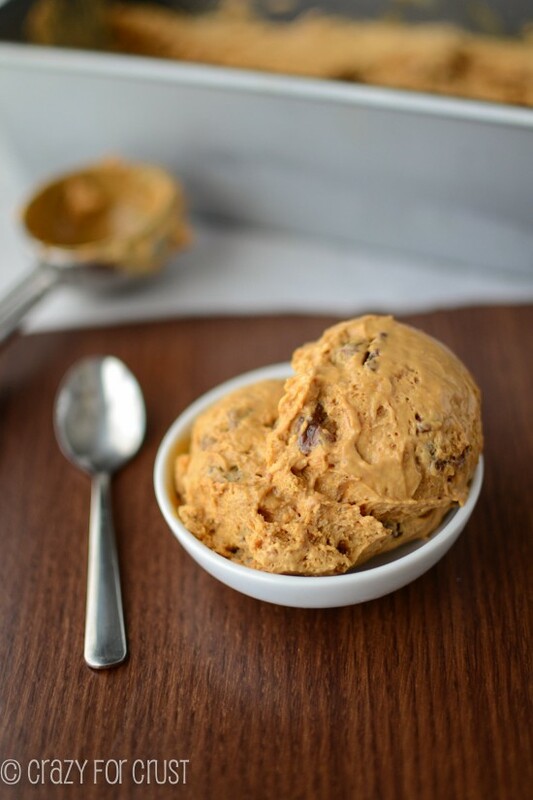 I was so excited by your recipe because it looks like the right color of Argentine dulce de leche ice cream…. But mine looks really white – did you use more dulce de leche? Or did the bits add color? I skipped the nuts. Thanks! Did you use dulce de leche or sweetened condensed milk? I used the La Lechera, I believe, that you get in the baking aisle. It should be a nice amber color!